This is the hardest part for most traders. The market never moves higher or lower in a straightforward way. Pullbacks and reversals are part and parcel of every move. But this is where emotional trading decisions can be destructive, both to your confidence and to your account. This is where success lies. If you can ignore these emotions, and continue to hold a position through these phases of price action, then success awaits. 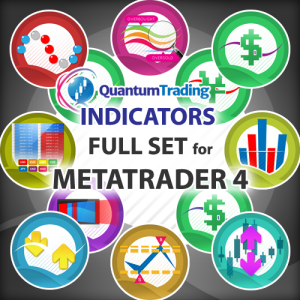 This is where the Quantum Trading indicators will come to your aid. They will give you that confidence, that inner belief, and calm the emotional response. Why? Because they are helping you interpret the price action, and delivering clear and simple messages, in different but unified ways. First, the Quantum Trends defines where the price action is in its current journey. Is it a bullish trend, a bearish trend, or so the market in congestion. Next, the Quantum Trend Monitor steps in, smoothing the price action, and giving you the ‘balanced view’ of the longer term trend. These two indicators are like the celestial twins of Gemini – perfectly balanced and working in tandem. Next comes the Quantum Tick Volumes, combining the power of price and $olume the markets two leading indicators. 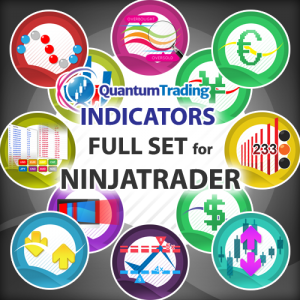 The Quantum Pivots indicator and the Quantum Volatility indicator then describe the price action in detail, keeping you safe, yet adding further description signals along the way. The Quantum Dynamic Support & Resistance indicator then comes into play, giving you dynamic price levels for possible exits or profit taking, and clearly defining potential areas of support and resistance ahead. Last of course come the indices, all underpinning your chart, and giving clear signals as to the direction of the two major currencies, the US dollar and the Yen. The choice of index is personal, but you have the Quantum DXY or the Quantum USDX, all supported with the Quantum JPYX.